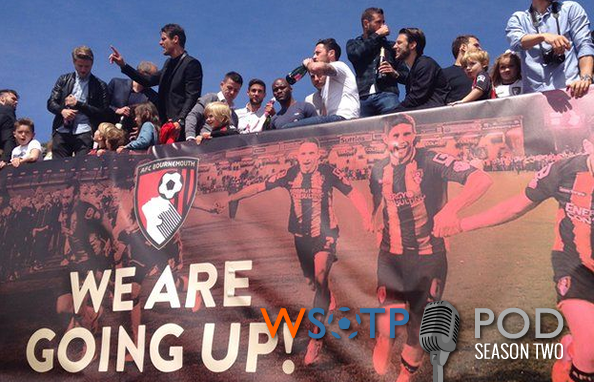 Since we last recorded, league champions have been crowned in the upper two levels of the English pyramid, and we took time in this week’s episode of the #Pondcast to discuss the incredible seasons by both favorites’ Chelsea and the underdogs’ AFC Bournemouth. But while the tops of the tables were interesting, the bottoms of them are even more fascinating. And while the bottom three may be locked in the Championship, there’s a lot left to be settled in the Premier League. There was, of course, still plenty of time left for the domestic side of things too — including a Crew collapse on the road, Montreal’s collapse in the CONCACAF Champions League — and our usual weekly segments.